Baker, who has been with Mozilla since 1999 – it launched in 1998 – has seen the organisation develop from an idealistic movement, which few people believed in, through to the creation of internet browser Firefox which is used by 21% of web users. Yet Baker is keen to stress that Mozilla’s values are broader than Firefox and the global consumer internet. “Firefox is such a big lever,” she says “consumer products give you a reach and so many people are aware of Firefox as a product but it’s not so clear that it is there to solve a non-profit mission about building the internet,” at least in part, as a public resource to complement economic drivers. So, how does she see Mozilla developing over the next 16 or 17 years? “There are three aspects to that,” she says. She lists these as: the consumer product, the community and the scope and reach of ideas. “Products are hardest to predict 16 or 17 years down the line,” she says. Products are “explorations into where and how Mozilla can provide a level playing field for business, a safe and secure environment for people and the kind of public infrastructure we’re looking for.” And these, of course, iterate with adoption. Then there is the community aspect. This comprises of both the consumers who use the Firefox product and the smaller community of “people who are aware of Mozilla’s goals and in some way feel connected to them”. This includes the active techies and the high volume of people, from over 60 countries, who donate small amounts of money to the foundation each year. On top of this, of course, everything has become more complicated as we’re consuming more content on mobile devices. “This is fully integrated – you can’t view source code anymore,” she says. So, what is the biggest single threat to openness? The internet is a very technical system and most people don’t understand how it works. And, of course, openness is not high on most people’s priority list. This makes one of Mozilla’s core challenges “to iterate and build products that make openness valuable to people”. 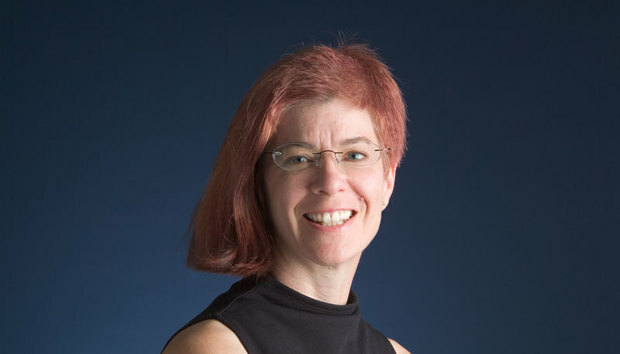 But despite all the challenges up ahead, what is she most proud of in her time at Mozilla?